See what the year ahead has in store for you with this star sign for creatives. What does 2017 have in store for you? Is this the year that you will finally unleash your hidden creative potential? Will you have more confidence in your work, pursue a promotion, or become a creative director? With 2016 in the rearview mirror, it’s time to think about unlocking creative potential for success in 2017. Here are your creative horoscopes for the new year, with illustrations by Adobe Stock Contributor Natalia Hubbert. 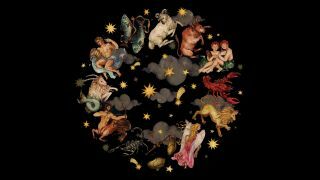 Remember, each sign of the zodiac brings different assets to the table – aligning your strengths can inspire, motivate and compel action in the new year. Ready? Let’s go! Enterprising, incisive, and spontaneous, Aries tend to enjoy the challenge of exciting work. Known as ‘proverbial infants,’ Aries creators are optimistic (some say to a fault), but can also be a little selfish at times. Nevertheless, with unparalleled enthusiasm, persistence, and drive, it’s next to impossible to tell an Aries that they can’t do something. In 2017, focus on keeping your mind alert and the creative juices flowing by expanding your skill set through a design workshop or art class that will give your imaginative side a well deserved boost. Recognised for an intense practical nature, the Taurus creator can be highly disciplined and reliable in a work setting. But of course, no one is as stubborn as the bull, and the steadfast Taurus can turn into an immovable rock with little advance notice. This year, use your natural ambition and creative independence to speak for the team. Don’t be afraid to take on new and challenging projects or spearhead that creative idea you’ve been mulling over for months. The key to success in 2017 is to emphasise collaboration and teamwork. Known for quick wit and the ability to think on their feet, Gemini make fantastic creators. Highly social and fun, the Gemini duality also has a serious, meditative side, which does appear from time to time, making it difficult to stay focused on lengthy projects. In 2017, exercise your serious side to add more balance to your creative work. Strategise for success by organising projects and creative endeavours to build structure in an otherwise chaotic work environment. Steer clear of distracting relationships that can stifle creativity when you need it most. The most creative of all the zodiac signs, Cancer is extremely loyal and generous with friends, family, and colleagues. However, it’s immediately clear when a Cancer needs space, as moodiness and fierce pessimism can inhibit creativity and success. A devoted artist, this is the year for Cancer to shine. Foster new ideas, new direction, or a new process and jumpstart creative potential for a year full of new possibilities and new career goals. Make way for the lion! A born leader, the Leo creator is action-oriented and highly motivated, driven by the allure of personal success and recognition. Smart, calculated, and very clever, it’s tough to trip up the Leo with a master plan. Nevertheless, the worst enemy of a charming Leo is himself. Get out in front this year, by taking control of your career and your creative side. Stick to deadlines, be accountable, and keep your promises for a new year defined by hard work and creative success. An intelligent mind, Virgo creators depend on intuition more than any other zodiac sign. When something doesn’t feel right, it’s typically a Virgo who brings it to the table. The challenge is in learning to trust this intuition enough to allow it to further your career goals. As a creator, personal reservation is not likely to work in your favour. Instead, give yourself permission to think outside of the box. Make this the year that you experiment with new ideas, create new solutions to old problems and let positivity guide your creative spirit. With a natural fascination for beauty and all things harmonious, Libra creators have an advantage over their peers. The ability to recognise and encourage talent in others helps Libra facilitate amazing success with little effort. This year, seek to expand creative potential by looking for inspiration in music and dance — explore your inner performer and use this renewed energy to fight stress and tension that can diminish creativity. Could this be the year Scorpios score a raise? A romantic at heart, the Scorpio who opens his or heart to you is loyal forever. As a creator, Scorpio is fierce! With intense emotion driving creative spirit, this is the year to unleash the passion and fervour that has been bottled up. Tip: be sure you are paid what you are worth. Hard work, dedication, and creative ingenuity deserve to be compensated accordingly — this may be the year to negotiate a raise. Freedom and love of travel define the Sagittarius being — many Sagittarius creators find movement especially exciting, explaining a love for animation. At times, restless wandering can take Sagittarius creators off track, decreasing drive and draining motivation. In 2017, recognise your strengths by playing off your love for movement and incorporate rhythmic elements to your designs. Be careful not to become careless or lazy and don’t promise more than you can realistically deliver. As the most determined of all the zodiac signs, Capricorn creators will never cease to amaze their peers. With discipline and self-control that guarantees success, the Capricorn was born to meet deadlines and exceed expectations. Pursue self-reflection in 2017 to maximise creative potential. Be curious and use this insight to guide creative endeavours. 2017 is the year for Aquarius to seek out group activities and networks. With innovative tools emerging that are designed to enhance collaboration, Aquarius creators can take advantage of digital artistry to sharpen and hone skills. A bold imagination and a strong sense of humour are your strong points — use them to infuse excitement into your work, driving recognition that you deserve.